I mentioned I'd been picking up titles missing from my HK film library and here are some of them, this is part two of this months purchases. 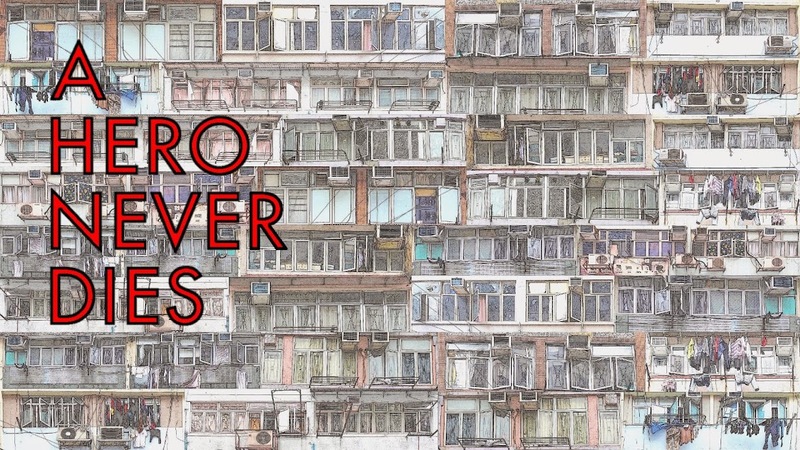 A mixture of titles anyone interested in Hong Kong cinema need to have and older stuff that will never be released in the UK or probably anywhere other than Hong Kong. First up for part two is Yuen Woo Ping's Dreadnaught. I've been trying to see this for such a long time but always somehow missed it, it was well worth the wait. A review will follow soon. 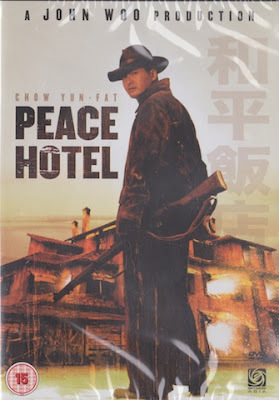 Wai Ka Fai's Peace Hotel, I've only ever seen this once before on a VHS boot and remember liking it, I'm not sure which cut of the film I saw as I know there are two different versions. I will no doubt review this one too when I get around to seeing it. 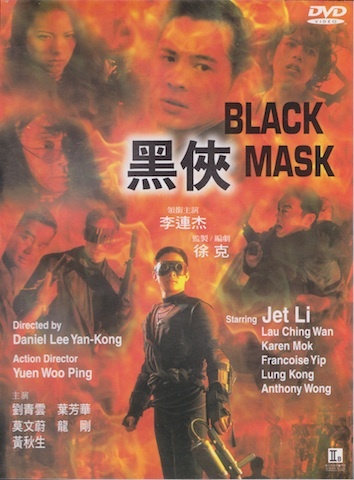 Daniel Lee's Black Mask, again I've only seen this once and I was really disappointed with it, my expectations were way too high and it was inevitable really that I would be let down. 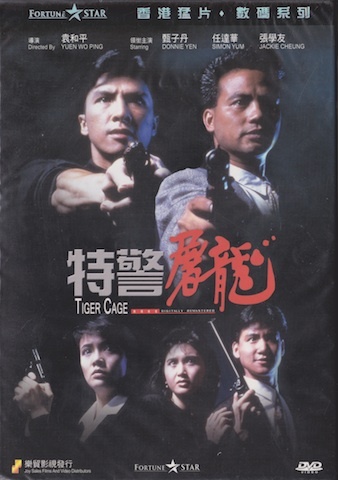 Given the cast and Yuen Woo Ping's involvement, I felt a revisit was in order. Speaking of Yuen Woo Ping, next up are two of his D&B classics, Tiger Cage and Tiger Cage II. I remember being blown away by these two movies, but only ever owned the sequel on VHS. The first film is the remastered dvd and the sequel is the blu ray release, the difference in price was about £1! To finish part two, a couple of films that I've never seen and probably don't fit the criteria of being HK essentials but both came recommended. Firstly Troublesome Night 4 was a featured review in Mike's Hong Kong Rewind Halloween reviews. Lastly we have Jamie Luk Kim Ming's The Case of the Cold Fish, a film I know little about other than it stars Michael Wong but comes highly recommended to me, and this was definitely a film that I was never going to be able to see in any other way. Looking forward to your reviews of "Dreadnaught", "Peace Hotel" and "Black Mask". I had the same reaction to "Black Mask"--with Jet Li, Karen Mok, Anthony Wong etc. etc. I thought it couldn't be anything but great. It turned out to be a good lesson in basic Buddhist teachings concerning avoiding expectations. What would have been an enjoyable experience with decent enough movie spoiled just enough because it didn't live up to the internal hype I had given it. 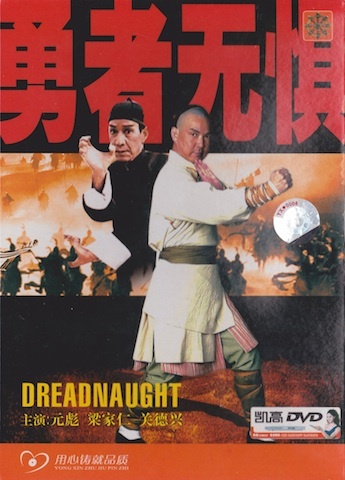 The cover art on the "Dreadnaught" seems odd--Yeun Biao looks thick and middle aged. Strange image. ewaffle, Yeah the hype for Black Mask was pretty huge, I'm sure I'll enjoy it more this time around, the cast is pretty amazing. That Dreadnaught dvd is a strange one, I picked it up as part of a lot on ebay, it appears to be a mainland release but I'm pretty sure it's a boot, which would explain the cover. I rented the HKL dvd for my review which was fantastic. Another great haul! Tiger Cage 1 rocks!